Training of all aspects of infant airway management including positive pressure ventilation, insertion of LMA’s, and ET Tubes. The anatomy can be dramatically changed to represent conditions such as tongue edema, pharyngeal swelling, and laryngospasm. SimBaby can simulate spontaneous breathing patterns with variations in depth and rate, and complications such as retractions and see-saw breathing. 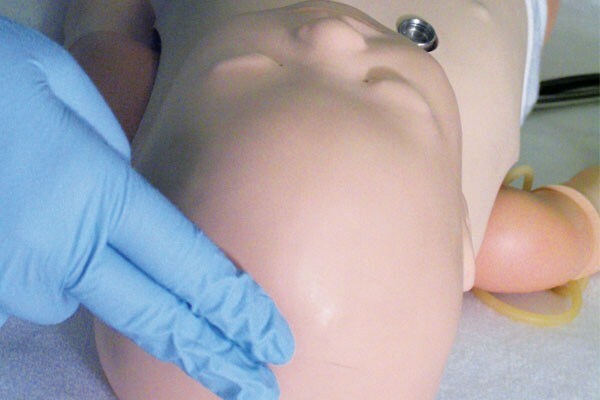 Critical conditions such as tension pneumothorax can be simulated and managed through needle thoracentesis, and chest tube insertion. During hypoxic conditions SimBaby will present cyanosis in the mouth region. The blood pressure can be adjusted and measured manually by auscultation of Korotkoff sounds. Pulses can be assessed at the radial, brachial, and femoral pulse points. 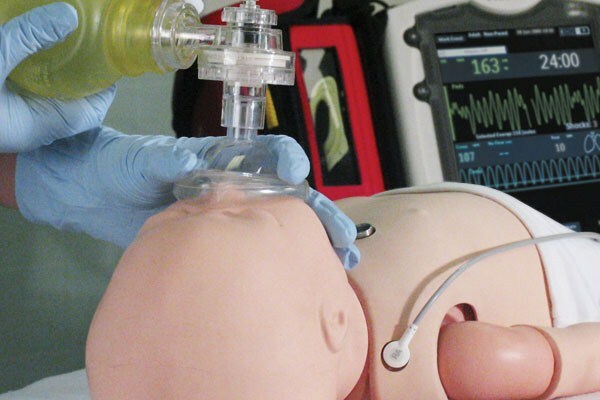 SimBaby allows for live defibrillation, pacing, and synchronised cardioversion. SimBaby has an IV arm and bilateral IO/IV legs, which can be connected to reservoirs to allow for volume infusion and blood sampling. 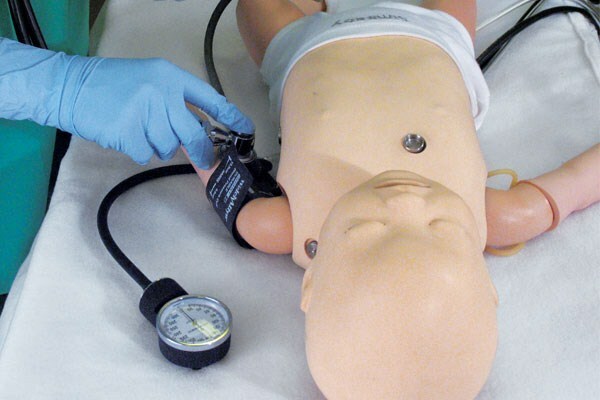 With lifelike traits such as a fontanel that can be adjusted to present as normal or bulging and torso motion to simulate seizure, SimBaby helps healthcare providers recognise and manage pediatric emergencies. 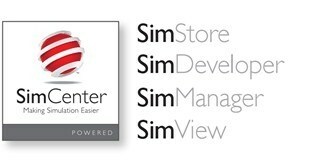 A wide range of training scenarios can be developed and purchased using SimCenter. 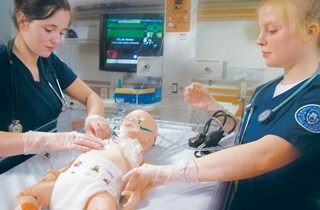 You will find a wide range of scenarios that have been developed specifically for the SimBaby at www.mysimcenter.com. SimBaby uses LLEAP software which is easy to operate and allows users to build their own scenarios or utilise validated SimStore content. LLEAP software communicates directly with the manikin to automatically generate a real-time event log. This is synchronised to the patient monitor and in-room video to optimise the simulation and aid in debriefing. A touchscreen patient monitor provides 12 lead ECGs, SpO2, Hemodynamic pressures, Cardiac Output and several other parameters. Set waveform parameters, alarm functions and screen layouts. X-rays, lab results and videos can also be displayed on the patient monitor.